A big thanks for the lovely photo to Valerie whom you can find here. With the rise of Facebook, Instagram, Twitter and Pinterest, keeping it real has become only that much more complicated. And I’m not referring to Keeping it Real as the Kardashians do – quite the reverse in fact. How can we have a strong social media presence without ‘’FAKING IT’’? The second I share with someone that I always have a few scheduled posts per week they tell assume it has all been so fake/staged. Or what about the fact that I’m not wearing the same clothes as the photo I just posted on Instagram. What about that time I went to that new ice cream spot because I knew I would like to share the pretty cone in my feed? We’ve all done it but here is what it doesn’t mean : FAKE. I often speak about authenticity and staying grounded when it comes to social media. Of course it’s not the most zen and true space out there – but hey, you can still rock at it all while being 100% you. 1. Don’t pretend you’re someone who you’re not. It’s not sustainable on the long run and you’d be building a community around something you’re not. So if you want to go out to a specific place because their food is pretty – great! But don’t fake liking the ice cream when you’re lactose free in reality..
2. If you’re going to schedule posts OR have your photos taken in advance (not the day of) make sure you mean everything you’re about to write as a caption + let it be either informative OR inspirational. Don’t be shy to tell a story, to get a little personal and truly express yourself. 3. Don’t overstage your posts + use Instagram stories/Facebook LIVE as a took to keep it real (show personality, the behind the scenes, tell jokes, be sarcastic & CONNECT with others). At the end of the day it’s YOUR presence and only you should decide what to post or not but if you want it to feel good – let’s keep it authentic. From personal experience as an ''influencer'' (find me here) and social media agency owner, I've seen my fare share of amazing and not so amazing accounts. If you're trying to stand out, make sure you've set the record straight with who you are first! Looking forward to chatting more - I'd love to hear what YOU think! 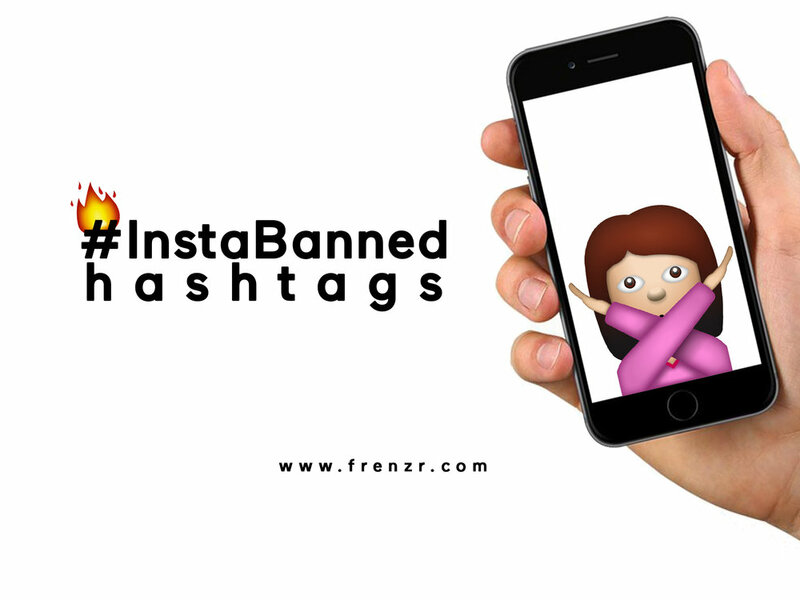 Instagram seems to be trying to control its content with this new list of forbidden hashtags, some being more understandable than others.. So what it means is, if you try to look up something obviously inappropriate you'll see a nice ''No hashtags found" pop up on your screen. That we can stand behind; some content can be offensive and the platform could really use some supervision as some of us use it for either business purposes or to share our plain love for photography. As you go through the entire list, you might find yourself quite confused as to why some of them are restricted. For example if you type "instamood" as your searched tag, you'll notice that only a few top posts are going to be accessible for browsing while the recent ones are going to be hidden from public view. As expected some people are not letting this new censorship restrain them from fully expressing their thoughts and are already coming up with ways to fool the system by adding or changing the accent mark on the words we aren't supposed to use or by simply adding extra spaces between the letters. Some photographers and active Instagram users claimed to have gotten shadow banned (click here to read more on that) and this new update might just be the reason why. Run through these and make sure no to use them! Get the INSIDER information on all #SocialMedia news + our 30 days Instagram Content challenge! Sign up with your email address to join the exclusive Frenzr community + receive social media tips & tricks. We respect your privacy and promise to never share your information with any third party company. Thank you for signing up! Head over to your e-mail address to confirm your subscription & receive our 30 Days Instagram Content Challenge!